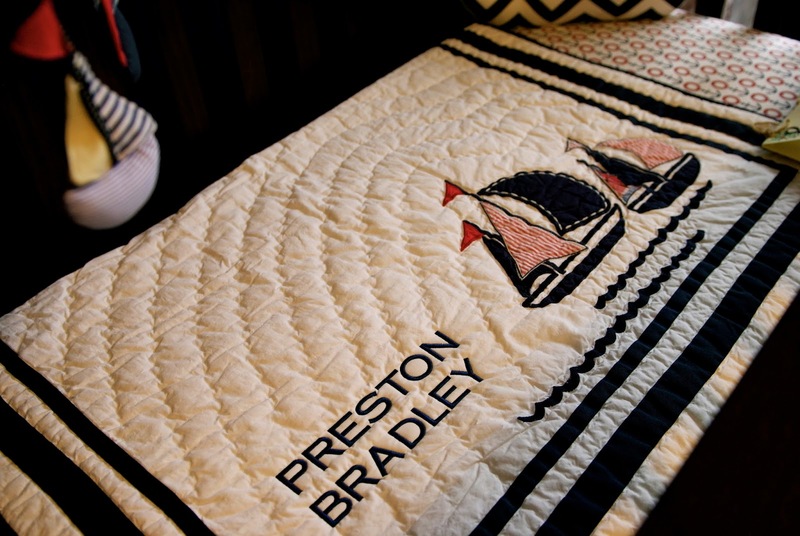 Early on in our journey to have Baby #2, Brad said from the get-go that he wanted a nautical nursery if it was a boy. 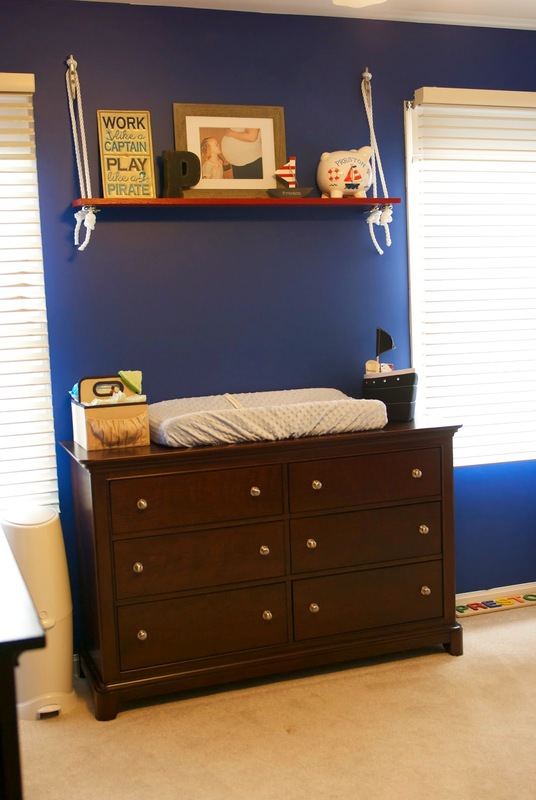 We had so much fun decorating Eloise's forest/owl-themed nursery that I knew that this one would be just as great. 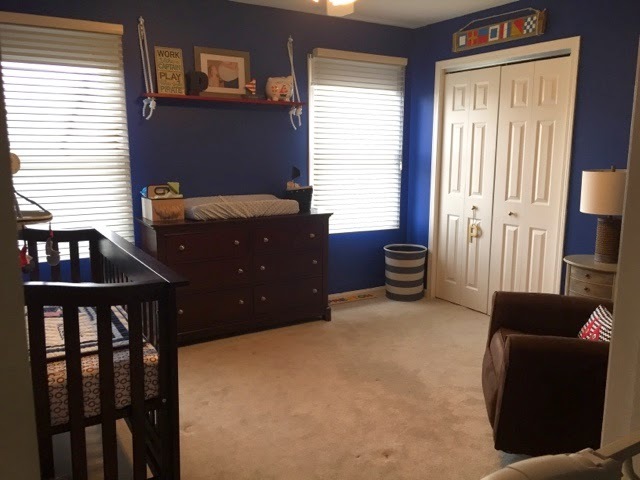 As soon as we found out that we were having a boy, Brad was ready to start the conversion of one of our guest rooms to a nursery for baby boy. 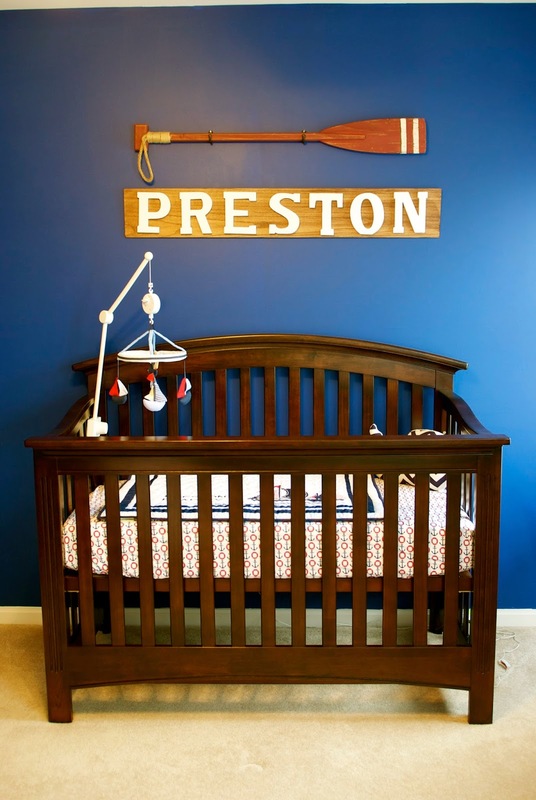 Brad did a lot of "construction" for this nursery as he created many of the pieces in the room. Enjoy the tour! 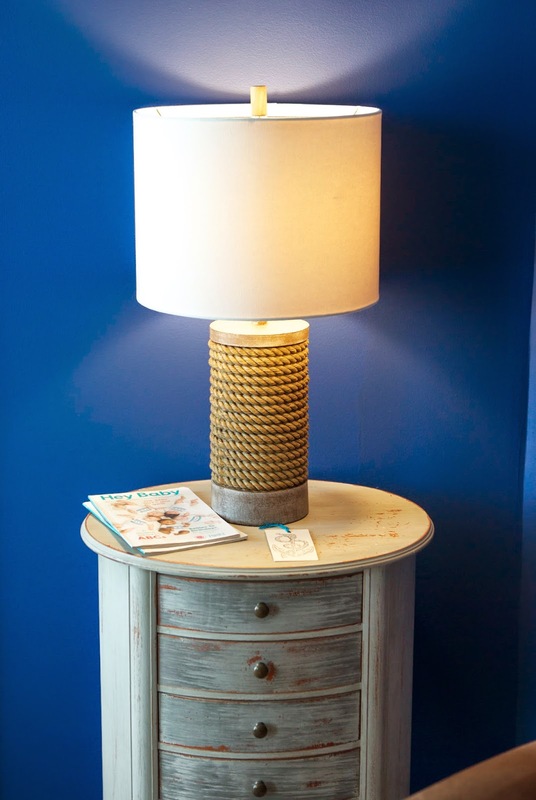 After - Phase II: Let's Accessorize! Brad made this sign. 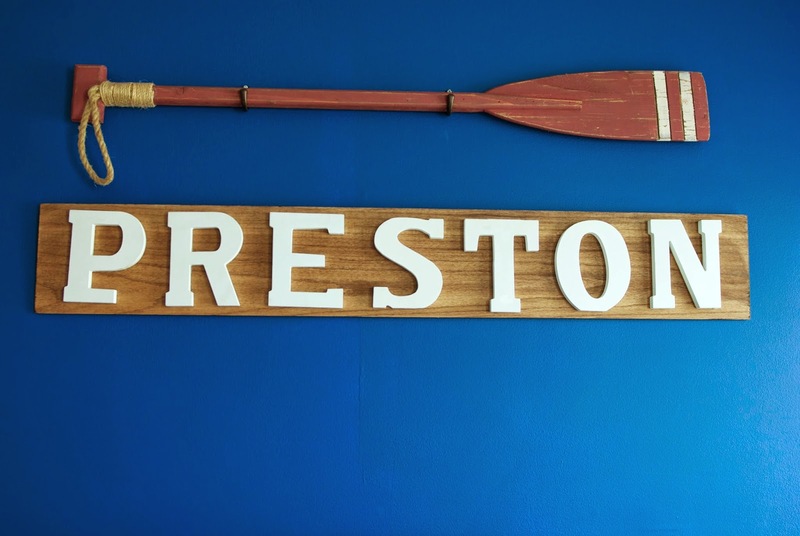 Stained the wood, attached the letters & secured it to the wall. 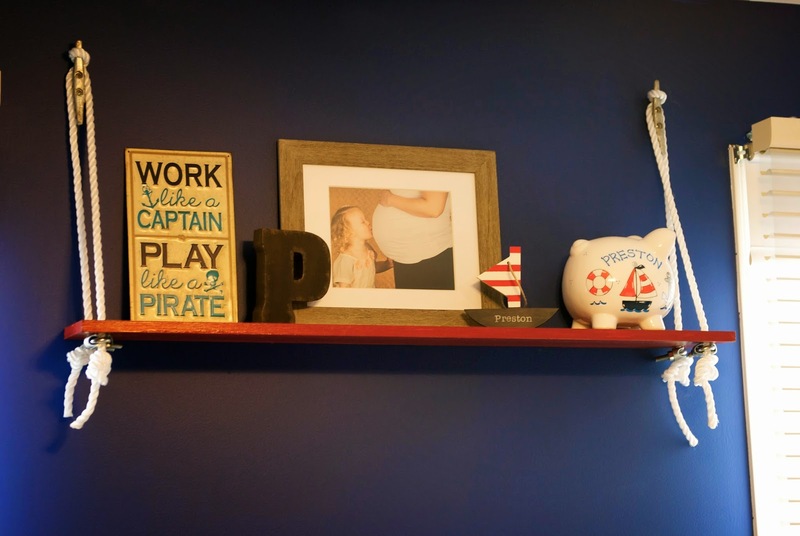 Just as Brad knew that he wanted a nautical-themed nursery, I knew that I wanted to do a gallery wall on one specific wall in the nursery. 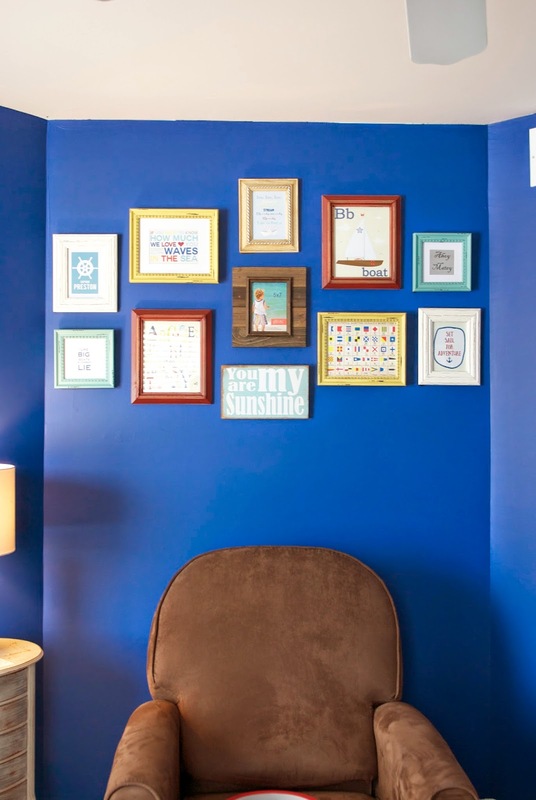 Between Etsy & my own graphic design skills, I created this nautical-themed gallery wall. One fun thing to point out is the "You are my sunshine" sign. 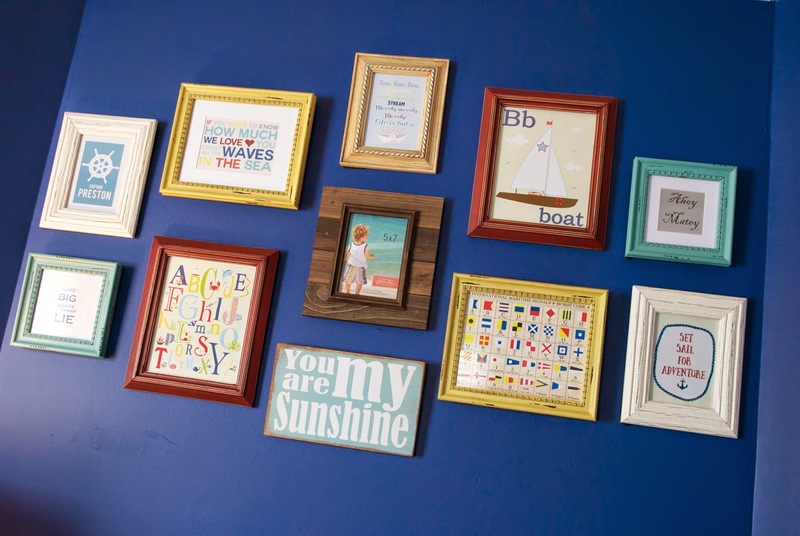 The lyrics to this song hang over Eloise's bed and I knew that I needed to incorporate that song again into the nursery decor for this baby too. Both Brad & I were sung this song as kids so it holds special meaning for us. I saw this shelf on Etsy and said to Brad, "Can you make me this?" As always, Brad said, "Your wish is my command." 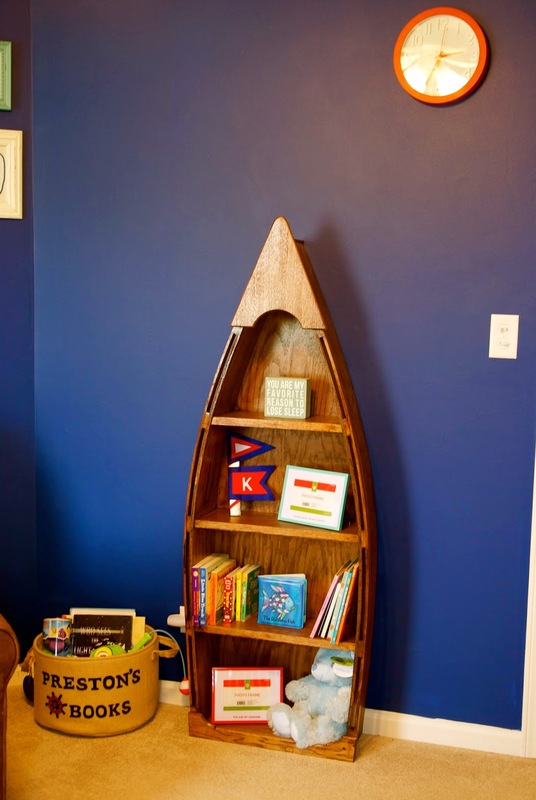 Brad came up with the idea of having a boat-like bookshelf in the room. After tons of searching, we found this bookshelf on Etsy. 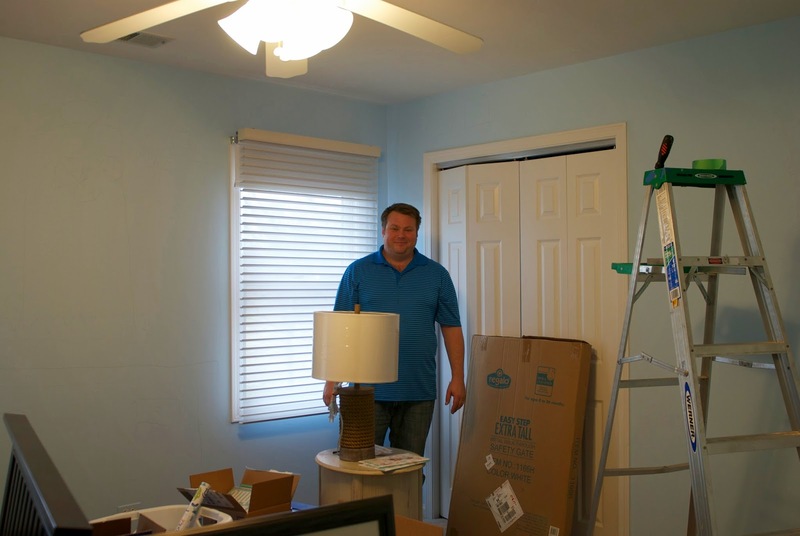 As it came unfinished, Brad stained it to match the furniture. Don't worry - it is anchored into the wall in 3 areas to avoid any accidents. After - Phase 5: Final Touch. 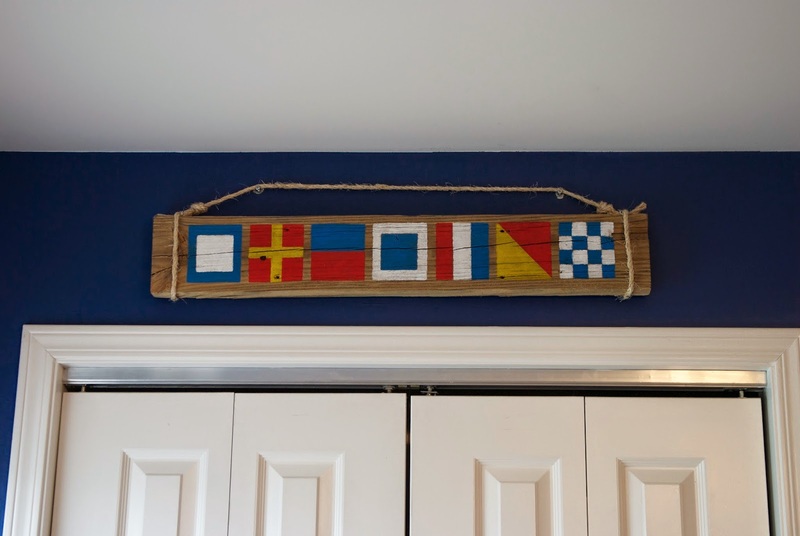 How to do you complete a Nautical Nursery? 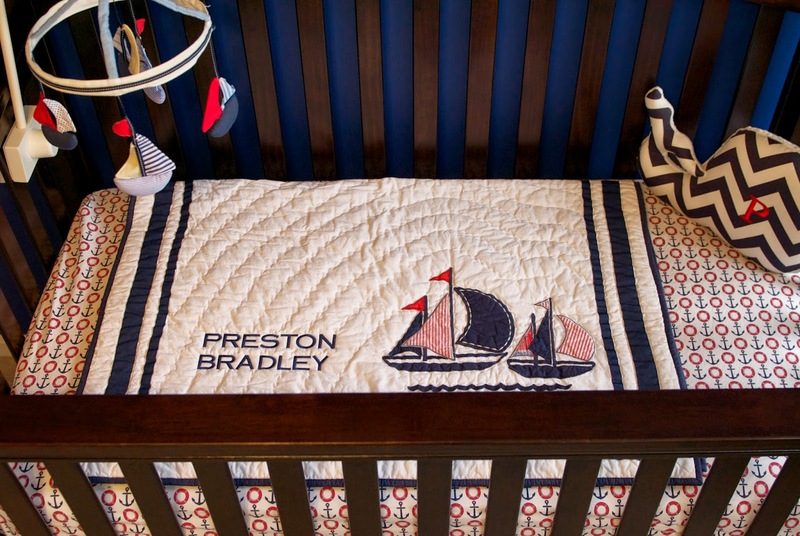 Get your baby boy's name in Nautical Flags. 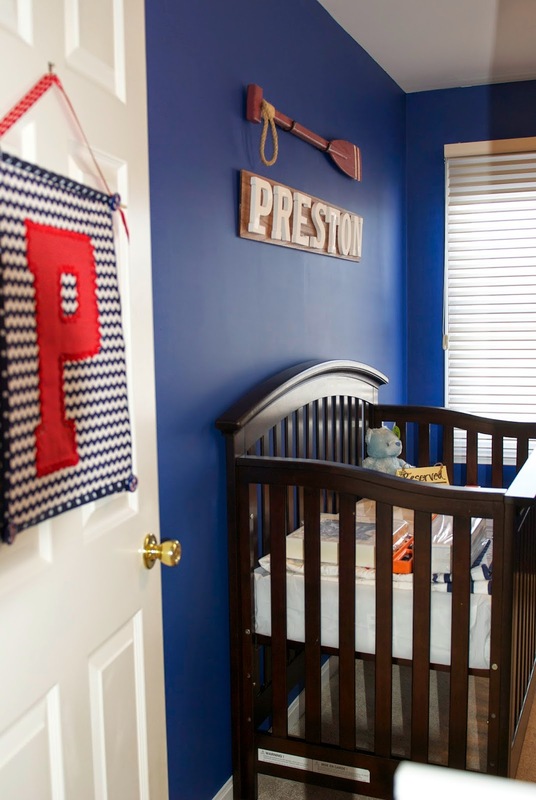 Brad gets all the credit for this idea as he suggested that we spell out the baby's name with nautical flags and incorporate that into the room in some way. 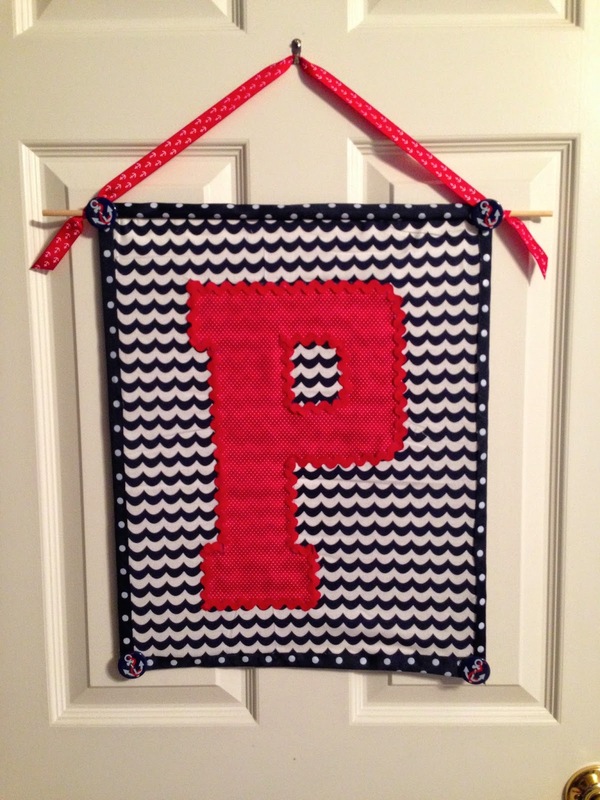 It was news to me that their even was a nautical alphabet to do such a thing! This sign hangs above the closet. 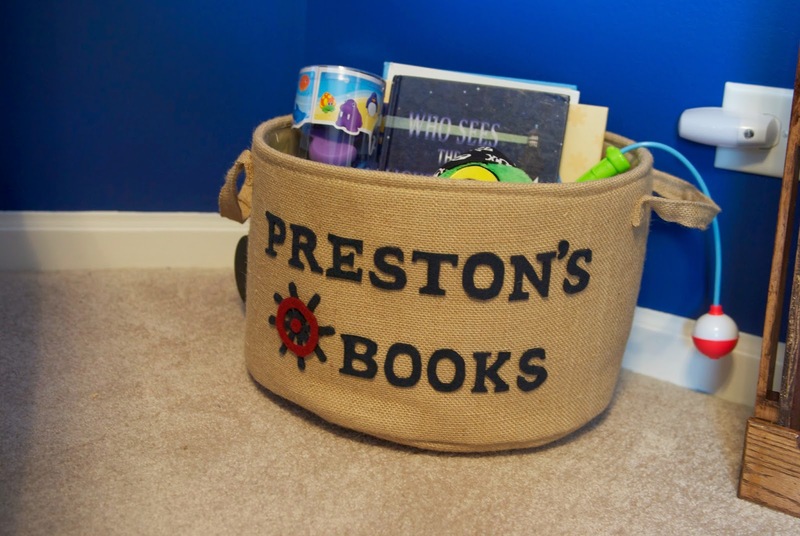 Love some of the items in our Nursery?